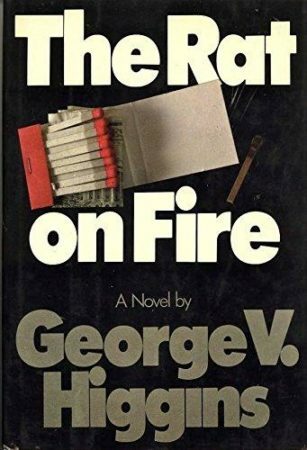 A riveting, blistering novel about the shady side of the law and the business side of the Boston underworld by the one and only George V. Higgins. Jerry Fein is a small-time lawyer, occasional booking agent, and full-time slumlord. But he’s nobody’s fool. So when the tenants of his dilapidated buildings refuse to pay rent because of rats, Jerry knows just the man to help him—Leo Proctor, a professional arsonist, who can make a fire marshal look the other way for a little cash. But the heat is on over at the police station as well, and a couple of cops are suddenly feeling pressure from their superiors to produce tangible results, and something has got to give. 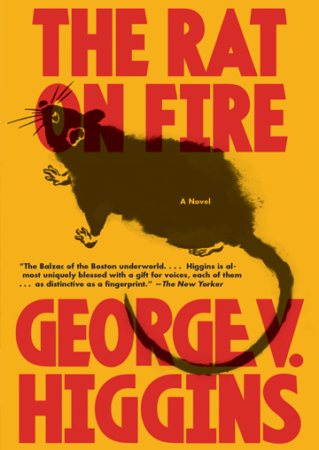 Full of showboating politicians, hardnosed cops, and lawyers a little too familiar with both sides of the law, The Rat on Fire is another Higgins masterpiece and an unflinching portrait of the Boston crime world. First published by Alfred A. Knopf in 1981. Killing Them Softly, the movie based on Cogan’s Trade, a novel by George V. Higgins, is now a major motion picture Starring Brad Pitt and a host of other big starts. Read about it. The classic film version of The Friends of Eddie Coyle was reissued on DVD by Criterion in 2009. Read/hear appreciations on WBUR and the Boston Globe. Foreign rights in George V. Higgins’s books are managed by the Marsh Agency in London (or contact LaFarge).